Our luxury black car service localy is ideal for any occasion. Whether you are traveling for business or have a social event in mind, we are ready to assist you. With over three decades of providing excellent service, we can custom tailor any request to exceed our clients’ needs and expectations. Our beautifully appointed fleet is guaranteed to impress you and whoever you are traveling with. Travel in absolute comfort and safety, backed by our impressive knowledge of the area. We are sure to make your Black car service Miami a completely joyful and relaxed experience. Our professional chauffeurs are courteous and highly trained. All our chauffeurs undergo rigorous screening requirements and always provide the highest standard of service. Travel with Miami ’s leading luxurious transportation provider, and arrive at your final destination safely, in comfort, and style. We will always ensure that a dedicated staff member is at your disposal ready to assist you with all your questions and queries ensuring your expectations are met. We are passionate about transportation and our team goes above and beyond all industry standards to keep you impressing you. Our goal is simple; deliver the best Miami Black Car Service. Our professional service will give you everything you need from a luxury vehicle service, and even more. A friendly Premier chauffeur will ensure your journey is both safe and comfortable. You will arrive at your destination feeling refreshed, at ease, and on time. 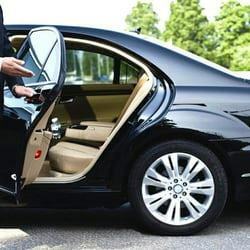 Rest assured the most professional Miami Black Car Service chauffeur awaits your arrival at the airport while our 24-hour flight monitoring system checks your flight. We continually stay in contact with the chauffeur, to guarantee an efficient airport transfer. Contact us and one of our friendly staff members will be happy to assist you with any inquiries or recommendations, we are available for you. With Premier Black Car services Miami, you will experience a level of professionalism and luxury that has kept countless satisfied clients using our service for over 30 years. We are fully licensed, permitted and insured. Our pricing and vehicle selection was carefully researched and competitively set for your comfort and ultimate enjoyment. or a snack on the way. Whatever your request may be, we will make it happen. Premier Car Services takes reliability so seriously that we make an on-time guarantee. If your ride is more than 15 minutes late, the ride is on us. This means you can depend on Premier Limo to get you to your meeting, event or ensure you make your flight. We arrive at your door at the requested time and take you to your destination quickly and efficiently. The next time you need a ride to the airport or to an event, look no further than Premier Miami Limo and leave the driving to us. We look forward to assisting you with all of your future ground transportation needs. May all of your travels in life be safe, comfortable, and luxurious.